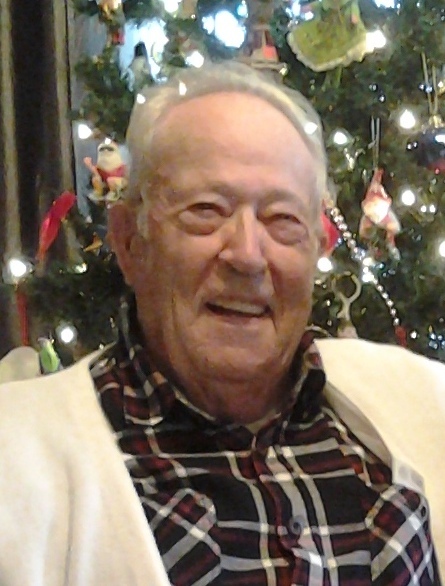 Russell Gene Stuckey, 89, of Fremont, OH passed away at the Bellevue Hospital on Tuesday, September 18, 2018. He was born April 15, 1929 in Cromer, OH to Lucas and Laura (Funk) Stuckey. Russell served in the Merchant Marines after WWII and then joined the U.S. Army and served during the Korean War and was awarded the Occupation Medal (Japan); Good Conduct Medal; Korean Service Medal w/5 Bronze Service Stars and the United Nations Service Medal. Russell was a truck driver for Basic Refractories Inc. and retired in 1989. He married Phyllis Chandler on February 1, 1952 in Colorado Springs, CO and she preceded him in death. Russell then married Verna M. (Nickel) Kiser on May 16, 1992 in Fremont and she preceded him in death on September 3, 2014. Russell was a member of Trinity United Methodist Church, Masonic Lodge, Quarter Century Club and enjoyed gardening. Russell also loved to go on drives around the Old Fort and Cromer area where he was born and raised. Russell is survived by many friends including his closest friends, Margie Groot and Bud Gibbs both of Fremont. He was preceded in death by his parents; first and second wives, Phyllis Stuckey and Verna M. Stuckey; son, Tom Stuckey, brothers, Bob and Lucas Stuckey and sister, Anna Bell Sherman. Visitation: Monday, September 24, 2018 from 10 to 11:30 a.m. at Wonderly Horvath Hanes Funeral Home and Crematory, 425 E State St., Fremont, OH with the service following at 11:30 a.m. at the funeral home. Pastor Scott Mauch will officiate. Burial: Four Mile House Cemetery with military honor’s provided by the VFW and American Legion. You were the Last of the Mohican’s, the Stuckey’s, and my Uncles you are loved and missed. I have fond memories of the family get together’ s with Grandpa and Grandma Stuckey. You were there with Phyllis and Tommy. You and Verna helped with the plans for my moms funeral (Annabelle) a few years ago. Now you are all gone along with Uncle Luke and Uncle Bob. I miss you all. You always grew the biggest potatoes, made the best sauerkraut, and found the mushrooms. I enjoyed our short time together last summer in Old Fort . You are loved and missed by all. Rest in peace. Enjoy your reunion in Heaven. Farewell and God’s speed. I am so sorry to hear of Mr. Russell passing away. He was one of my fondest customers at Walmart. He will be missed.